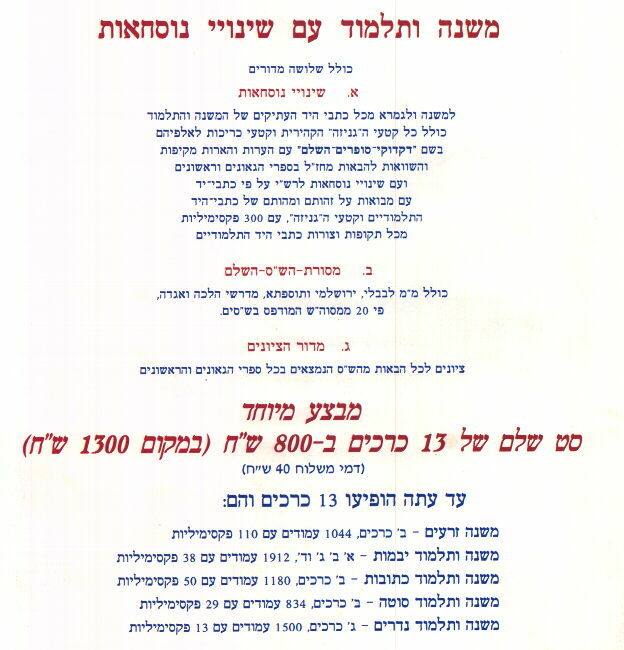 The Encyclopedia Talmudit was founded in 1940 by Rabbi Yosef Zevin and Rabbi Yehoshua Huttner. 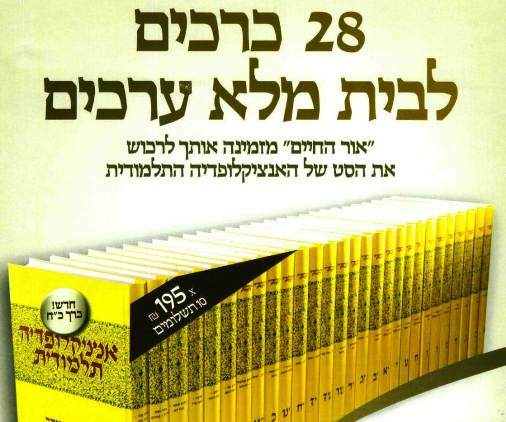 It currently includes 28 volumes, and has become a standard reference work used in Yeshivot and institutions of Jewish learning worldwide. Edited and compiled by eminent rabbis and Talmudic scholars. The Encyclopedia Talmudit provides a comprehensive presentation of all Halakhic subjects dealt with in the Talmud and in post-Talmudic Rabbinic literature, from the Gaonic Period down to the present day. The Encyclopedia presents the sources, reasonings, and variations of opinion relevant to each subject, as they are found in the entire gamut of this literature from its earliest periods down to the present time. It presents the principles, concepts and terminology of Talmudic and Rabbinic literature, covering all subjects drawn from life and human conduct touched upon by the Halakah. 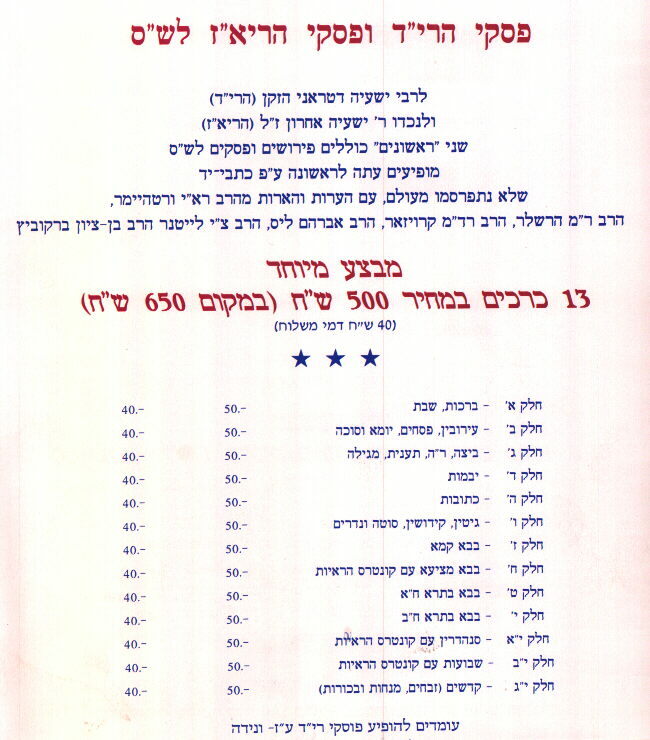 All of the above prices were reduced for Israel Book Week and do not include handling and shipping. Please check with us via the order link for most recent prices..